Tuesday marks the deadline for which national Olympic committees (NOC) can nominate cities to bid for the 2024 Olympic Games. The International Olympic Committee (IOC) expects to receive, in writing, names of any cities that are being put forth to bid for the Games along with a USD $50,000 initial fee payment for bid services. This week both Hamburg and Rome have sent letters to IOC headquarters in Lausanne and Budapest did the same back in July. Los Angeles and Paris are also expected to bid, both having launched highly public campaigns. 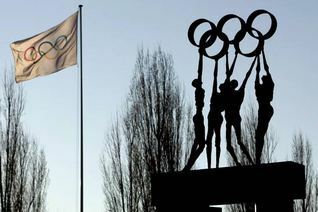 Though the IOC has implemented a new invitation stage where potential cities are encouraged to discuss their bids and review their plans with the organization ahead of any commitments, cities are not obligated to do so and can simply enter the race with a nomination letter from the NOC by September 15. The IOC collects all of the applications and puts them in a safe place until the deadline has passed, and doesn’t reveal what cities have sent them in. They won’t – that’s generally been the company policy according to an IOC spokesperson. So there is no way of knowing how many bids have actually been submitted at this point unless you are deep inside IOC headquarters in Lausanne. So what if an NOC that we don’t already know about has already submitted the required paperwork to the IOC? Why wouldn’t that bid city make themselves known? When a city is going to apply for the Games, it is usually widely publicized for several reasons – they may need to compete with other domestic applicants, they may need to face a local referendum or obtain public funding or campaign for local or federal support. It’s also valuable to get a head start generating public support for the bid so it will get favourable results when the IOC polls the population during the evaluation process. But if bidding were a last-minute decision, or if a city wasn’t prepared enough to “go public” and didn’t need to do any of the above, perhaps there would be no public announcement. Or, there may be strategic reasons why you would want to keep your bidding intentions secret. On September 16 the IOC will issue a press release naming the cities that have been nominated to bid for the 2024 Games, and there could be some surprises. It has happened in the past – Harbin, China bid for the 2010 Olympics without so much as a peep – even high-ranking Chinese sport officials had been left in the dark. So then, besides the cities that are already declared candidates, what others might end up on the IOC’s applicant city list? 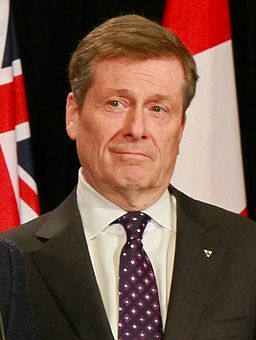 Though not certain, it’s a strong possibility that Mayor John Tory will give the Canadian Olympic Committee (COC) the okay to nominate Toronto to bid, and send a letter saying so to the IOC. In fact, on Friday the Canadian Olympic Committee (COC) already voted unanimously to support a Toronto bid and reportedly the letter has been written. In a press conference Tuesday Tory very carefully laid out his interpretation of the nomination letter describing it as a “letter of interest” after which he could seek approval from city council and other levels of government. It sounded more like an intended course of action but he declined to lay out any timetable for a final decision. It seems like the Mayor and Ontario Premier Kathleen Wynne are laying out as much of the groundwork possible and getting the answers they need before declaring the bid official. Both are huge proponents of the Games, citing the overwhelming success of the Pan Am Games held in the city in July. Toronto previously bid for the 1996 and 2008 Games, losing both attempts. Canada has only hosted the Summer Games once in Montreal in 1976. The most recent of two Winter Games were Vancouver 2010. Until recently the capital of Azerbaijan seemed like a lock to bid for the 2024 Games, but now a run at the prize remains questionable. 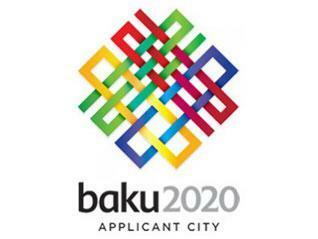 Baku has recently been a fixture on the Olympic Summer Games applicant list. For both the 2016 and 2020 Olympic Games, Baku filed bids and were subsequently left off the shortlist after failing to meet the minimum requirements expected of host cities. But after successfully hosting the first European Games this summer, inspired organizers vowed that they were now prepared to host the Olympics and that they planned to formalize a bid. Since then, officials in the wealthy nation have remained mysteriously silent. IOC Executive Director Christophe Dubi told AFP Friday that Baku has yet to confirm a bid, so we’ll have to wait with the IOC to see what happens next. But Baku can be sneaky, for 2020, as late as two weeks prior to the deadline bid organizers claimed that a bid was not in the works only to announce that they would indeed be moving forward with a campaign on the final day. Could we see a last-minute 2024 bid from Casablanca, Morocco? A bid from Casablanca is unlikely, but its worth a mention here. 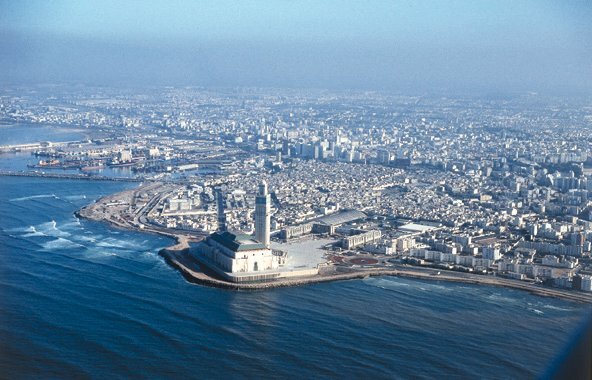 In the past, Moroccan sport minister Moncef Belkhayat has said that Casablanca would bid for the 2024 or 2028 Olympics. In August, however, he said that 2028 would be the most likely choice. But since Durban was named host of the 2022 Commonwealth Games earlier this month – South African officials announced that they would not be bidding for the Olympics over the next two cycles – 2024 and 2028. That leaves a big window open for another nation to host the very first Olympic Games in Africa. Having awarded the first Games to South America in Rio to be held in 2016, Africa is the only continent that the IOC is yet to visit and it is widely considered that an African bidder would be a sentimental favourite to win a bid. Additionally, influential IOC member Nawal El Moutawakel hails from Casablanca and she would be an excellent ambassador for a Moroccan bid. She has headed past bid evaluation commissions and would clearly understand this opportunity. So for Morocco, a city that has long had aspirations to host the Games, this might be the best chance. Keeping a bid quiet until the last minute might help ward off any potential African competitors. There probably won’t be any, but they too could leverage the same advantage that Morocco has. African cities that have expressed interest in bidding in the past have been Nairobi, Kenya and Abuja, Nigeria. 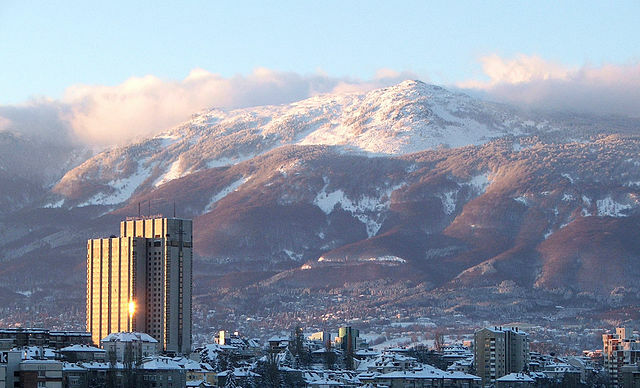 Sofia bid for the 1992, 1994 and 2014 Olympic Winter Games without much success. In fact, during the 2014 campaign the city was left off of the shortlist for failing to meet benchmark standards. Yet a group in the Bulgarian capital that has been in touch with GamesBids.com claims to have been working on a 2024 Summer Games bid proposal with the Bulgarian Olympic Committee (BOC). Queries to the BOC about a potential bid were unanswered. The group has been seeking an audience with IOC President Thomas Bach in Lausanne but an email showed that an IOC representative has asked that they communicate only through the BOC. The “exploratory committee” has been unable to confirm if a bid will be ready in time for the deadline. Don’t hold your breath. It just wouldn’t be right to leave Istanbul off of this list. 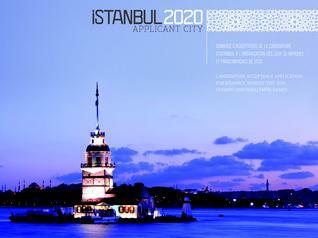 The Turkish city came only second to Tokyo in the election for the 2020 host city and prior to that the city bid unsuccessfully four consecutive times – for 2000, 2004, 2008 and 2012. After the 2020 loss bid Chief Hazan Arat said “Our next bid will be our strongest yet,” alluding to a 2024 campaign. Yet, amid national political issues and the ongoing ISIS and refugee crisis, there has been no dialogue about a potential Olympics. It seems Istanbul might take a pass this time around. 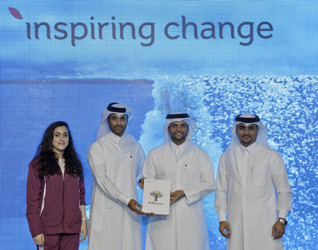 Doha bid for the 2016 and 2020 Games, missing the short list both times mainly due to its scorching summer climate and an IOC rule that says the Games must be held in July and August. After the 2020 loss, there was much talk about Doha giving it another shot for 2024. And why not? Doha seems to be bidding for and winning many events, using its deep coffers to finance lavish events. The biggest, and most controversial coup so far was winning the 2022 FIFA World Cup bid. But with FIFA corruption investigations underway, talk that the IOC won’t budge on its scheduling rules and the implementation of Agenda 2020 that stresses sustainability – Olympic aspirations seem to be on the back burner. But don’t count Doha out just yet, you never can. Madrid? Nope. The Mayor said so. The Spanish city came third for the 2020 Games and ran three consecutive unsuccessful campaign starting for 2012. Not only that, Spain also came away empty-handed with bids for the two prior Games, 2004 and 2008 by Seville. And more, Jaca in Spain bid for the Winter Games without winning four times starting with a 1998 bid. If you’re counting, that’s nine failures since Spain hosted the 1992 Olympic Games in Barcelona. Spain seems to have taken the hint this time. There could be some surprises but the IOC’s new invitation phase is designed to get cities involved early, and that will reduce the possibility of last-minute entries. Watch this space September 16 to see the actual final list.